Ever since my days of playing house and lugging around a pink, plastic suitcase, I have dreamed of traversing the globe. Jules Vernes classic novel Around the World in Eighty Days captured my young imagination, as did reporter Nellie Blys 1889 record-breaking journey that emulated the admirable feat of fictional character Phileas Fogg. I devoured guidebooks like 1000 Places to See Before You Die and became an avid fan of Anthony Bourdains travel show No Reservations. The thought of planes, trains, and automobiles whisking me off to exotic locations has always held a certain allure. So, after graduating early from La Porte High School, I set my sights on South America. After completing some online research, I discovered that, according to worldorphans.org, there are an estimated 163 million parentless children scattered across the globe. The injustice of this statistic, along with my habit of helping the underdog, spurred me to locate a program that would allow me to aid in the care of these young lives. After much consideration and planning, I traveled to La Serena, Chile, through A Broader View Volunteer Corps to serve the communitys impoverished families. 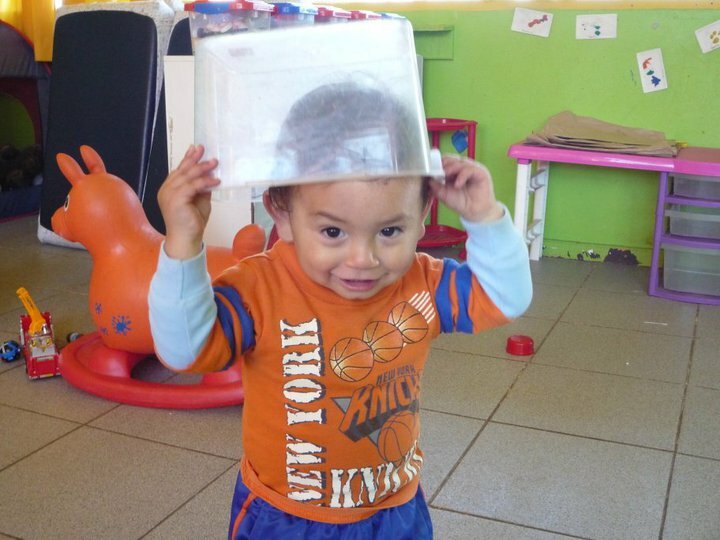 From November 30th through December 22nd, I volunteered as a caregiver at House Net, an orphanage that provides a safe, loving atmosphere for children aged twelve and under. Upon my arrival at House Net, I was immediately introduced to a group of extremely energetic toddlers. Jumping, spitting, pinching, hair-pulling toddlers. These were my charges. In addition to caring for disadvantaged children, I also experienced total cultural immersion by living with a host family. Gladys and Cristian Espinoza, my mom and older brother, welcomed me warmly into their home on Pasaje The Trees. Luckily, the walk to the orphanage was only about two miles from this location in suburban La Serena. In the afternoons, I took Spanish lessons from a native tutor, Camila. In addition to teaching me the local slang and fashion code, she showed me how to navigate the beach town. My terrific guide took me on tours of the bustling downtown, historical museums, stunning cathedrals, and all of the best places to buy ice cream. With Camilas help, I was even able to master the art of catching a collectivo, a Chilean taxi! The final days of my stay in La Serena were heart-wrenching, because I was all too aware that I would never see these children again. It was a most difficult task, parting from the kids with whom I had bonded for the last three-and-a-half weeks. I would miss playing peek-a-boo with las gemelas, the twin girls, or growling, Yummmm! with baby Lorenzo after each big bite of food. We had shared smiles and laughs, tears and tantrums. We had cleaned up hundreds of toys, only to dump them all out on the floor again. We had even weathered smashed fingers and poopy diapers together. I huffed and puffed the entire way to House Net on my last morning in Chile, determined to power-walk the two-mile stretch. By the time I had reached the dirt road marking the turn-off for the cluster of old buildings, my arms ached; they were heavily laden with brightly wrapped boxes and bags for los niños. My family and friends in La Porte had filled my suitcase full of small toys, soap, toothbrushes, combs, socks, and underwear to give to the children as Christmas presents. All of these gifts were gladly received, especially by the caregivers. After the toddlers tore open their presents, I made my way around the room, hugging each child and saying my final ciaos. With a deep breath, I walked out of the room. But before I shut the door, I took one last glance at the place where I had spent so much of my time in Chile. As I tried to memorize the nursery scene of chipped paint and broken toys, little Antonella must have realized that I was leaving-leaving. Her eyes widened, and I noted a glint of hysteria in her small voice when she looked at me and said, Mami I shut the door quickly and hurried away, attempting to leave as painlessly as possible. But that didnt stop me from hearing some tiny fists banging on the door, accompanied by piercing screams. On the long flight home from Santiago, I took some time out to think about what I had accomplished during my mission trip. Simply by showing up at House Net each morning with a ready smile and a willing heart, I had made an immeasurable impact on the lives and development of twenty toddlers. I fed, burped, changed, scrubbed, and played with these kids for three-and-a-half weeks; by the end, I had come to know and love each and every one of them. My travels certainly reaffirmed my ambitions to study international affairs and Spanish while in college. This trip taught me the truth of the saying, Its a small world after all. Because, despite the many differences between the developing nation of Chile and the good ol U.S. of A., the two countries share a common bond of oldies music (in English) and french fríes. This journey gave me a chance to discover my calling in life, strengthen my core beliefs, and affect positive change in the world. But the trip wasnt all about me–the seventy hours that I spent volunteering at House Net made a difference in the lives of others, too. I feel that my actions, no matter how small, had the power to influence the Chilean children for the better; I represented Christians, as well as Americans, as people willing to work for the greater good. Parting with my friends at the orphanage and the Espinozas was bittersweet, but arriving home just in time to spend Christmas with my family was definitely the best gift I have ever received. The English philosopher George Moore was certainly correct when he said, A person travels the world in search of what he needs and returns home to find it. Want to make a difference Visit abroaderview.org to find a way you can serve needy communities around the globe. 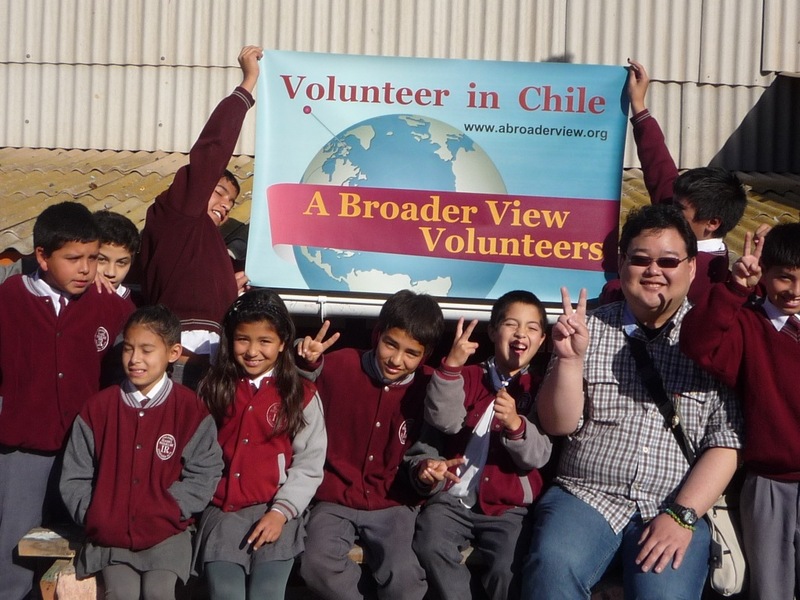 Or, if you want to help further ABVs Volunteer efforts in La Serena, mail a donation or contribute to the cause online. Just remember: A lot of small steps can change the world!